IDEAL has been working with the Better Business Bureau for decades. They do a terrific job of identifying credible companies as well as supporting consumers with legitimate concerns. The BBB recently shared this FAQ sheet on how to hire a contractor. It clearly lays out some important factors to consider when choosing a reputable company to work on your home. Check out the link below and feel free to ask your IDEAL representative for any of our corresponding documentation. IDEAL Insulation & Roofing is proud to be a partner in this years Home by Avi Stampede Lottery Dream Home. Together with our partners at GAF Roofing & Shoemaker Drywall Supplies we have supplied a beautiful GAF Grand Sequoia roof. Be sure to visit the Dream Home during this year’s Calgary Stampede and check out this one of a kind home! IDEAL Insulation & Roofing is proud to be recognized as one of HomeStars Best of 2016 Award winners for Calgary, AB. HomeStars is one of the most trusted online forums connecting consumers with residential contractors. It has become a valuable tool to promote current jobs as well as communicate with prospective clients. When our customers tell us that they read positive reviews on our company we know that they are speaking of HomeStars. 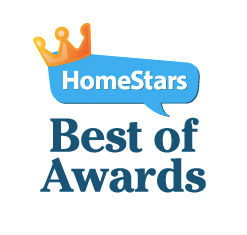 To be selected as a HomeStars Best of 2016 Award winner exemplifies the role that they play in our business and our communication with future clients to come. Thank you HomeStars! When roofing your home it’s important to consider all factors of a proper Roofing system. 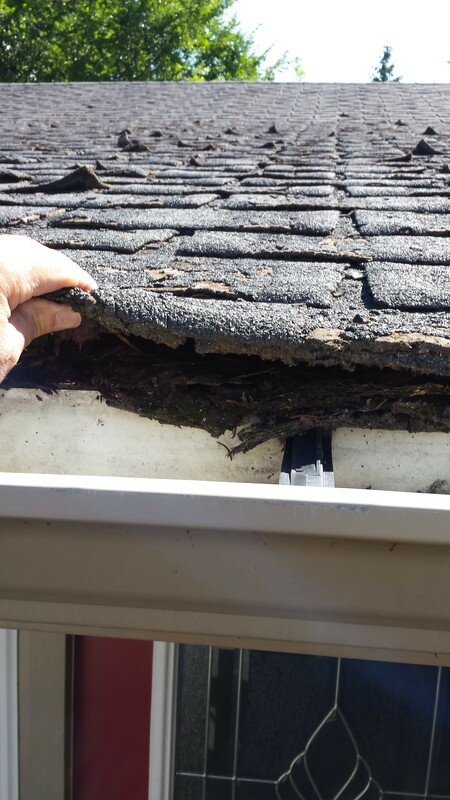 The underlay, venting and flashing all play a role in how well your roof will shed water and prolong the life of the asphalt shingles. 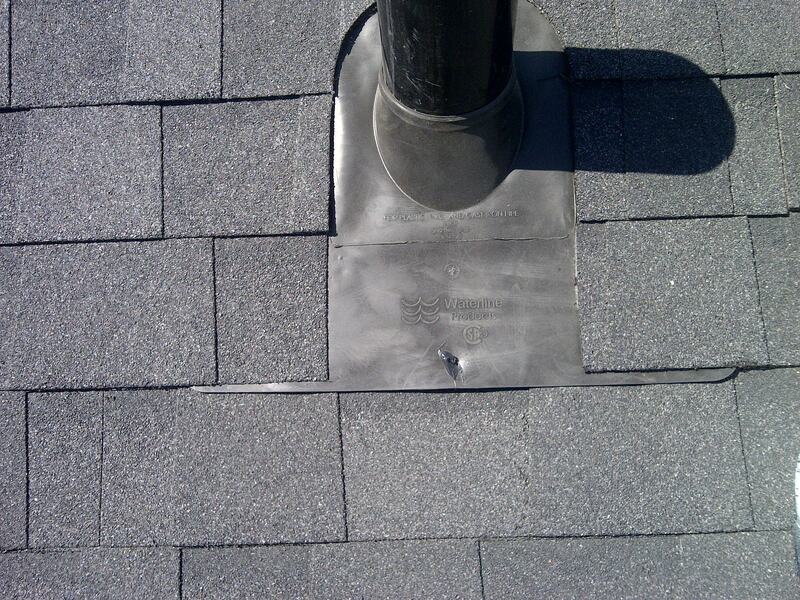 Drip flashing can help prevent rotten plywood under shingles. It is installed along the Eaves of the roof, the lower horizontal edges of any roof, and is designed to prevent water from creeping back up under the shingles as it travels towards the eaves trough. This is particularly important in lower sloped roofs where water is shed at a lower rate. 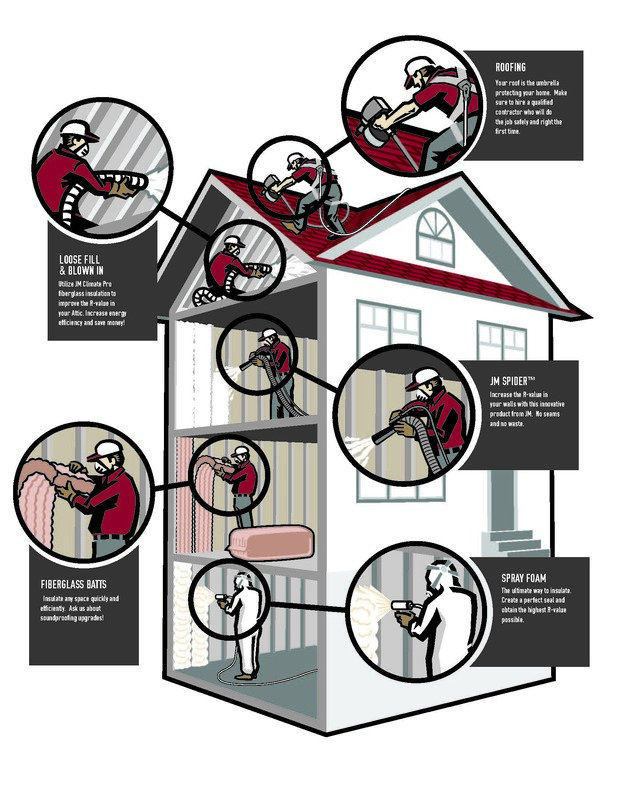 Just as any penetration in a wall such as a window or door must have proper flashing, the Drip flashing plays an important role in prolonging the health of your roof deck and subsequently the shingles. Attic inspections consider 3 major factors: R-value (measure of thermal resistance) of current insulation, Continuity of ceiling vapor barrier and Ventilation. Ventilation is evaluated in 2 ways: Intake (usually in through the soffit cavities) and Exhaust (through vents installed high on the roof’s ridges). Your home’s attic and roof depend on proper ventilation to exhaust heat and moisture from the attic space. Whenever ventilation is limited, or out of balance between intake and exhaust, issues arise such as condensation. Most homes draw intake ventilation through the Soffit cavity. The soffits are the underside of the roof where it overhangs the exterior walls of the building. Older homes, prior to the 1970’s had soffits made out of sheets of plywood that often had very few or sparse vents cut into them. The adoption of perforated aluminum soffits came in conjuncture with an understanding of the importance of Attic ventilation that for decades became the standard in new home construction. Unfortunately all too often in the renovation market contractors install new aluminum soffit over top of existing wooden soffit, greatly limiting air flow. In cases where Attic intake ventilation is limited due to wooden soffits, aluminum covering wooden soffits or plywood stops installed between the attic and the soffit cavity we must pursue additional measures. These measures may involve attempts to bash out plywood stops from the Attic side. Not a very effective technique but sometimes successful. Removing the wooden soffits and replacing with new perforated aluminum soffits. We can often remove the plywood stops from the outside where access is improved with the existing soffits removed. The best way to address the intake ventilation issue but surely a costly exercise. The third is the installation of Lower roof intake vents. 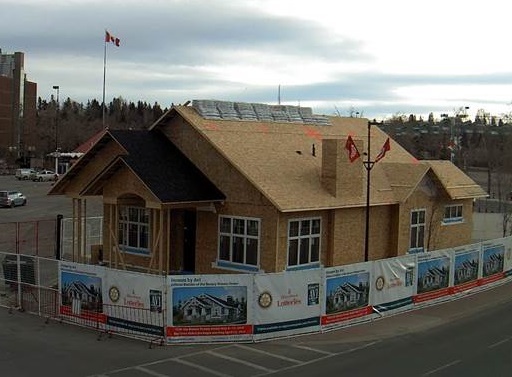 This practice has become much more commonplace in Calgary since it has been adopted by New Construction developments in adherence to local fire regulations. High density residential construction is no longer permitted to utilize perforated aluminum soffits so they install lower roof intake vents during construction. In the renovation market we can use the same intake vents to create ventilation in Attics where the soffit cavities are poorly vented. Intake vents are installed around the perimeter of the roof, or specifically in problem areas, down near the edge of the roof. Always above the exterior wall plate and preferably above the finished height of the current/new attic insulation. This allows fresh air to be drawn into the Attic space, above the perimeter of the Attic insulation so it can then cycle through the attic and exhaust up through the vents installed at the ridges. We’re working on some new advertising for IDEAL. Our infographic outlining all of IDEAL services is now complete. Check it out! 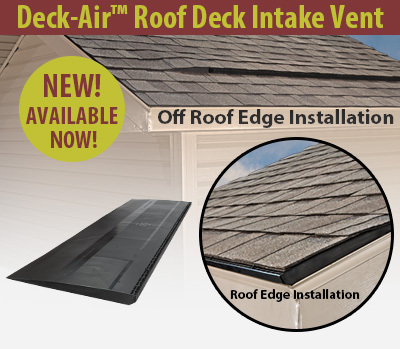 We just finished a re-roofing project where we installed the Lomanco Deck-Air low-profile intake venting system and it is as good as advertised! 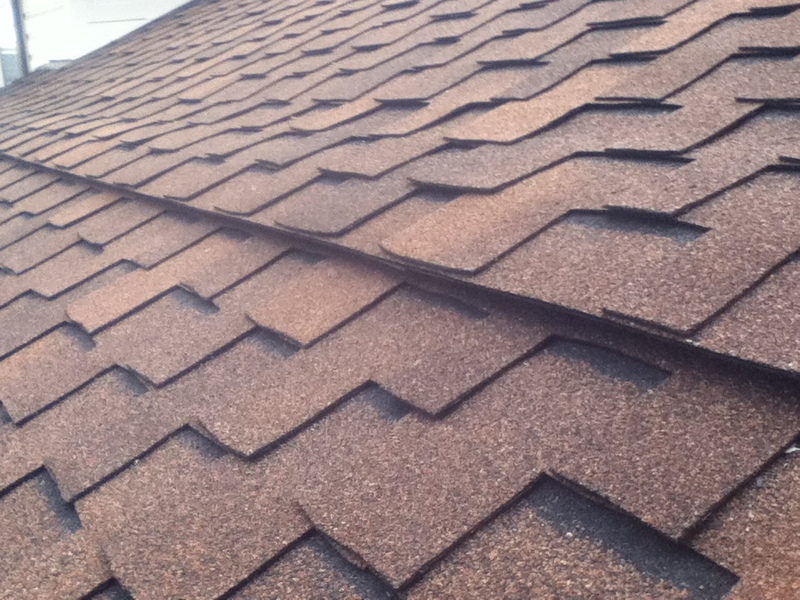 The product is similar in nature to ridge venting, where the majority of the vent is covered by the shingles. 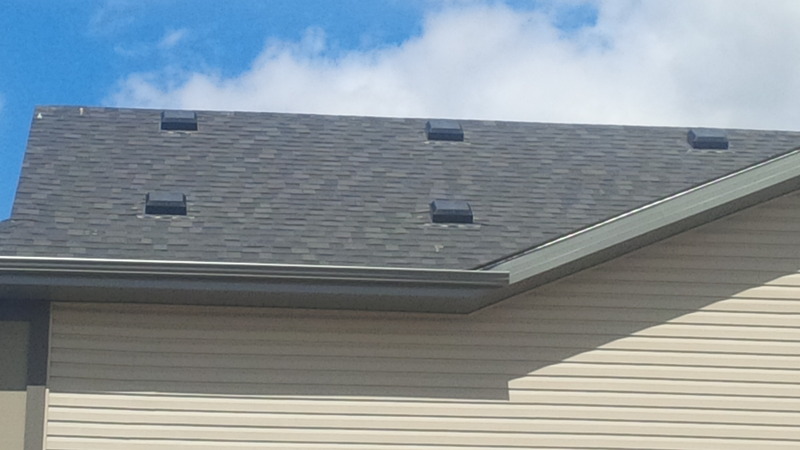 This leaves very little exposed and allows for a more stream-lined appearance compared to traditional roof ventilation. When combined with an upgraded shingle like the GAF Grand Sequoia which was used in this example below you are left with a minimalist installation. Owens Corning has released an extension to their popular Duration line of shingles that is now available in the Calgary marketplace. The Duration Storm shingle boasts the advantages of Sure Nail technology to aid installation and prevent nail penetrations in the shingle, coupled with Weather Guard technology which reinforces the shingle to resist impact. Check out the following video for more details!